Chia is a recently rediscovered nutrient-dense powerhouse – once a staple of the Ancient Aztec warriors. 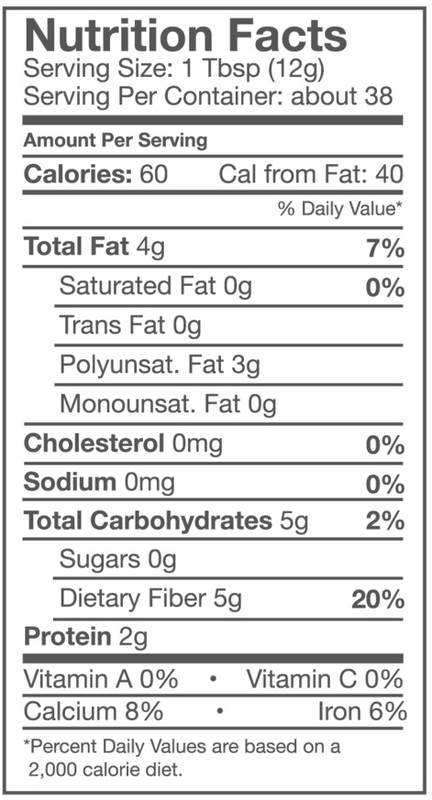 With double the fiber, double the protein and over 500mg more omega-3s than ground flax. The fastest growing superfood trend for the last three years shows no signs of slowing down. Chia’s versatility comes from its almost non-existent flavor and its ability to be used ground or whole. You can sprinkle Chosen Foods Chia Seeds on salads, mix into smoothies, top oatmeal and other cereal and even use as a fat replacement in baking. When mixed with water, Chosen Foods Chia Seeds absorb up to 12x their weight. Learn how to turn chia seeds into a delicious and healthy sweet treat with our Chia Pudding Recipe on our blog, The Well! Happy with this product ... competitive pricing. Used for constipation problem and it works! I also like to add to my smoothies. great seeds at a good price! Great product! I add it to my cereal and smoothies in the morning. I add it to my gluten free bread for taste and nutritional value. Reasonable priced! I add these to my cereal, spaghetti sauce, yogurt and all smoothies. It enriches all of it and I feel great! Great price! This has become a staple in my daily diet. I add the seeds to my morning oatmeal and they harmonize very well, absorbing a lot of water and forming a nice thick gelatinous mix. I also love to add them to my special "Coconut oil/Peanut butter and frozen blueberries pudding. That delightful crunch only adds to feeling of goodness I get from chia seeds. I add them to salads. These are perfect to add to smoothies. Makes the smoothie thicker and also adds loads of nutrition. A convenient super food that I always keep on hand! 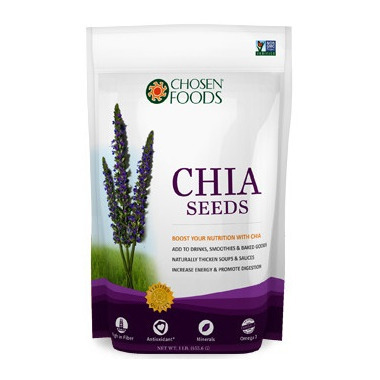 I love these chia seeds, use them daily in my smoothies. Great benefits! I've went through 3 bags of these chia seeds. I like to put them in my oatmeal, cereal & smoothies. I've been a fan of healthy foods, especially chia seeds. Good for salad,smoothies,baking,pudding, etc. Excellent healthy food and good product for the whole family including children. Highly recommended. It's nice to know these seeds are clean (try washing Chia seeds bought in bulk from a supermarket...) and they make my morning vegan protein drink much nicer. I've been using this product for a while and I love it very much! My family and I enjoy it. Highly recommended. I put them in morning avocado/cacao pudding and they are great! I also use them in cookies which works well. Great product ... makes the best pudding on the planet.